Avail from us a wide spectrum HDPE Fabric Roll which are offered vibrant colours sizes. Widely known for their unique designs & attractive patterns, these have been manufactured as per the international standards. The bags are crafted using finest quality jute and ensure their neat stitching and soft texture. 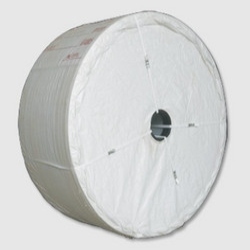 We have rooted ourselves as the leading enterprise engaged in providing HDPE Laminated Fabric Roll. Being a customer oriented organization, we are deeply engaged in offering a wide array of HDPE Fabric Roll. We are engaged in offering superior quality HDPE Fabric Rolls for packaging in all industries. These are exclusively designed and developed in accordance with the international quality standards. We make use of fine quality fabrics and other raw materials to fabricate these products. Hence, these are highly durable, reliable and are available at competitive prices. 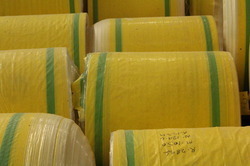 We are offering HDPE Fabric Roll to our clients. Color: Red, Yellow, Red, etc. We are engaged in manufacturing and supplying of Fabric Rolls to our valuable clients.